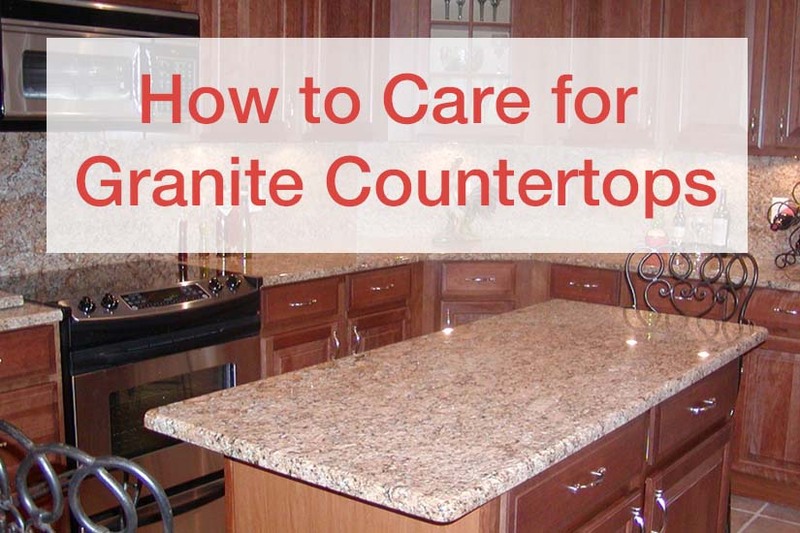 How to care for granite countertops and other countertop maintenance tips! Granite countertops are known for its strength, durability, and beauty, and its unique natural features can give areas a majestic feel. Compared to others countertops such as wood, laminates, and others, it most certainly is more enduring. Although granite has proven its reliability, it is not without fault. A good way to give a longer life duration to your countertops is to practice proper maintaining and cleaning procedures. Don’t place unnecessary extra weight, standing or sitting on your counter tops. Cleaning up all spills immediately after they happen, especially with substances such as wine, oils, coffee, vinegar, etc… Avoid cutting directly on the countertop, remember to use a cutting board as well as utilizing hot pads and perhaps also trivets and coasters as necessary. The first thing to know regarding cleaning your granite top is not to use acidic or abrasive products such as sandpaper, Comet, Soft Scrub, as well as similar products. Another surprising abrasive substance that people might not be aware of is sand carried on grocery bags that will scratch the surface unknowingly to owners. Windex works well, but it tends to leave visible streak marks. A dry rag following the actual application usually takes care of them. Cornstarch works well on unrelenting oil spills by applying it to the spill area, leaving it to settle for a day and then vacuum. Ammonia and bleach will not harm granite, however, given time it will gradually remove the sealer from the stone. “Trade secrets”— For smudges, you may utilize a fine grade (000 or finer) steel wool. Its effectiveness is quite surprising! Also, at times a sharp razor similar to glass cleaning in combination with hot water works well for removing dried on surface substances. One highly recommended task is periodically applying granite sealer, especially around the areas of cooktops and sinks. Sealing the stone prevents grease and water from soaking into the tiny pores of the stone. Sealing the stone usually depends on the type of stone whether they are darker or lighter as well as its location and usage. Some may have to be sealer regularly from anywhere from once a month, to a year in places like restaurants. Others may never need to be sealed like those located in book shelves. A good way to tell when the granite needs sealant is when moisture begins to darken the stone significantly. 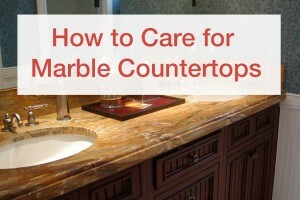 How to care for Marble Countertops. Our guide has tips and maintenance for caring for your new marble countertops including safe cleaning agents. 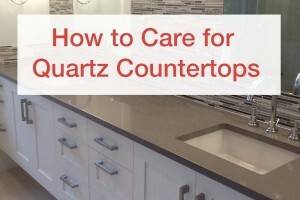 How to care for quartz countertops. 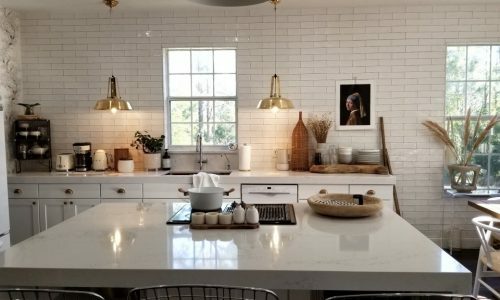 Although quartz is our most simple material to maintain and clean, we have put together a guide for keeping your quartz countertops looking new!